Imagine a library open anywhere, anytime, to research an assignment, get vital information, or just settle a bet. 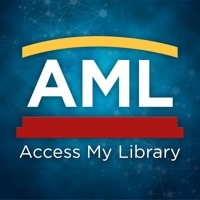 Access My Library® is for you. The virtual doors are open! 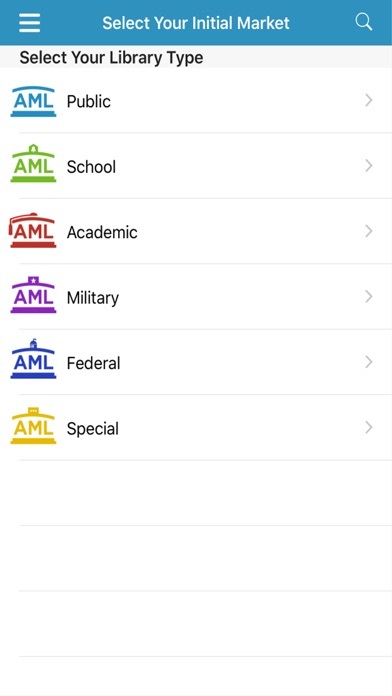 In this easy-to-use free app you can find directions to every participating library – public, school, university, and more – in your community, and access outstanding resources online. Instant unlimited access. 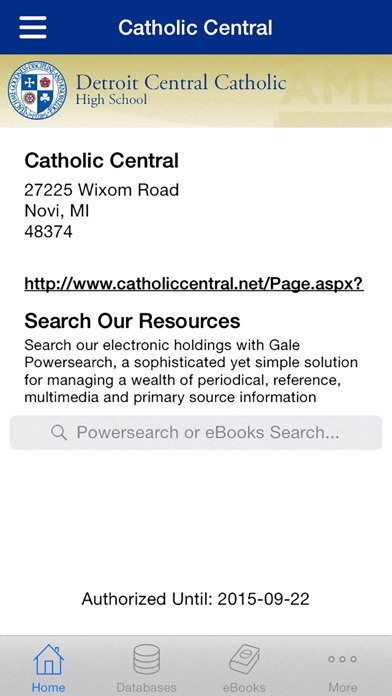 Access My Library provides you with Gale reference resources. 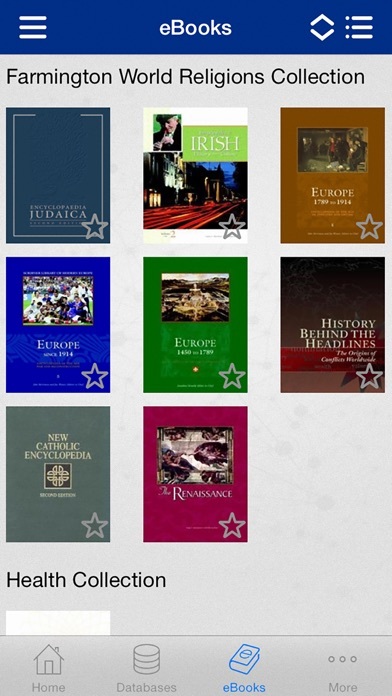 Depending on the specific library’s holdings, you may enjoy instant unlimited access to databases and eBooks covering: •	Academics and homework •	Health and wellness •	Biographies and reviews •	Directories and encyclopedias •	Car repair •	Career and business •	Hobbies and entertainment •	And much more! New features, new benefits. 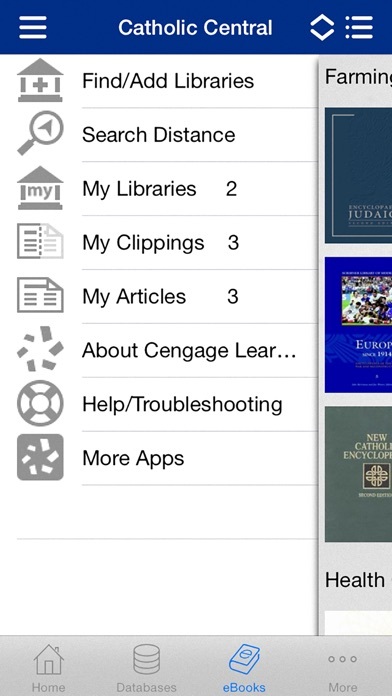 We’ve upgraded Access My Library to make it even faster and easier: •	An attractive new interface •	“Library Search”: quickly access your library from anywhere •	“My Libraries”: store all of your libraries in one app •	“My Clippings”: highlight, save, and e-mail clippings from an online resource •	“My Articles”: save and e-mail articles to read or share later •	“Resources”: switch between bookshelf and list view; store your favorites in one place •	“Mobile Interface”: applicable resources are optimally displayed for your mobile device Who we are. We're Gale, part of Cengage Learning – a world leader in e-research and educational publishing for libraries, schools and businesses. We're best known for providing accurate and authoritative reference content. We set the industry standard for intelligently organizing full-text articles from magazine and newspaper articles — as recent as yesterday and as far back as the 1980s. We create and maintain more than 600 reference sources that are published online, in print, as eBooks and in microform, and we update most online resources four times a day. Shows nothing, fix this app, please! It does not display local public libraries that are close by, but instead suggests libraries that are far away, in other suburbs or cities. It does not even sort its lists properly. Selecting a distance sort in the library list view results in a scrambled mess, apparently random. Very disappointing. And fully unusable in this state. Does not show libraries from another state, even though some are closer than those listed in the current state. Otherwise, appears to work as claimed. Can't get app to recognize my library. Terrible. Will not even allow login. Crashed repeatedly on every device in my fleet. Awful. Crashes every time it is opened. Crashes every time I try to use it. Cannot locate my area libraries / they were available in the previous version. Great app when it works! Force closes every time I open it. Current version does not work at all. Can not access anything since the update. Will not locate my college library.